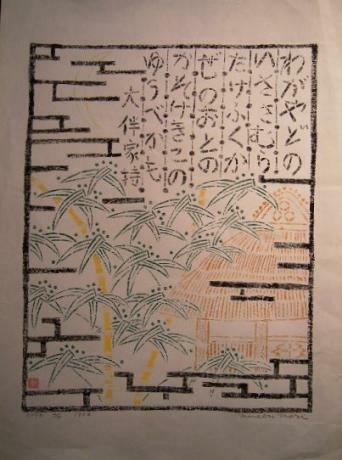 Description: Japanese 20th century print of a cottage, bamboo, calligrahy and lattice. 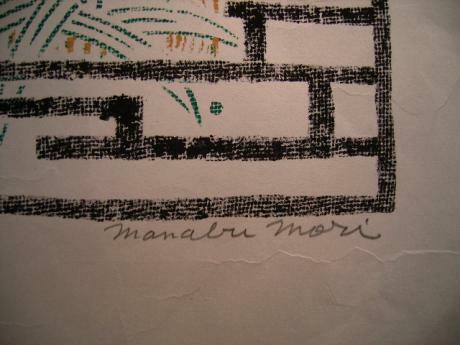 Signed in pencil by artist, MANABU MORI. Numbered 2 of 90. 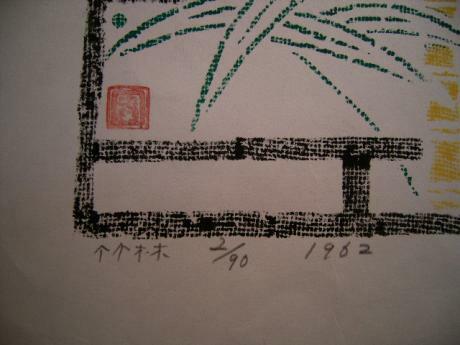 Dated 1962. 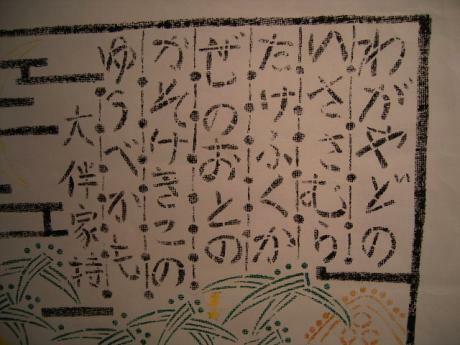 The paper measures 20" wide by 24" tall. The print measures 14 1/2" wide by 18 1/2" tall. The sides of the paper have been folded to make the paper 18" wide.